Business Automation is a completely connected system enabling seamless automation across your security, video and energy management systems. Braderic Security integrates all your services into a single connected solution. Use customized triggers and smart schedules to connect your security system with your video cameras, locks, lights, and thermostats to get the most advanced automated solutions all in one place. Make the system do the work for you. 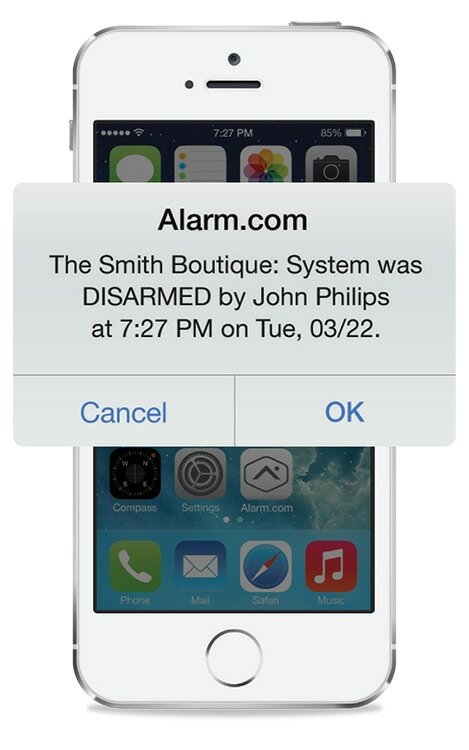 For instance, set up a notification when your business alarm system has not been disarmed by a certain time to make sure your business opens on time. Smart Schedules™ allows you to set automatic light and thermostat adjustments based on time of day and day of week. We can even learn your activity patterns and help optimize a schedule that fits you perfectly. Geo-Services gives you added automation that responds based on your location. Have your thermostat automatically adjust when you leave for work, and receive a reminder if you forgot to arm the security system.